After you read through this post, be sure to scroll to the bottom to enter to win four, 6 oz. Super-Trimmed™ Filets from Kansas City Steak Company! When it comes to entertaining friends and family, we all know it can be a big undertaking – especially for the host. From the table setting and a delicious menu to the conversation, it can be downright overwhelming. 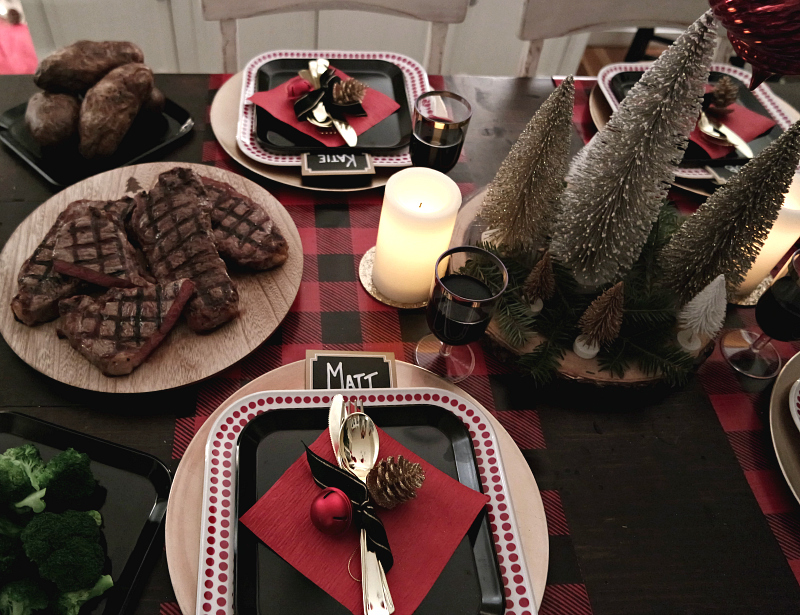 So I’m teaming up with Kansas City Steak Company to share my top tips for hosting a holiday dinner party. It’s not in my nature to create a guest list, and I usually just invite everyone I know to our parties. Before you know it, we have 75 people in our house, and no one can move. Yes, this has seriously happened. 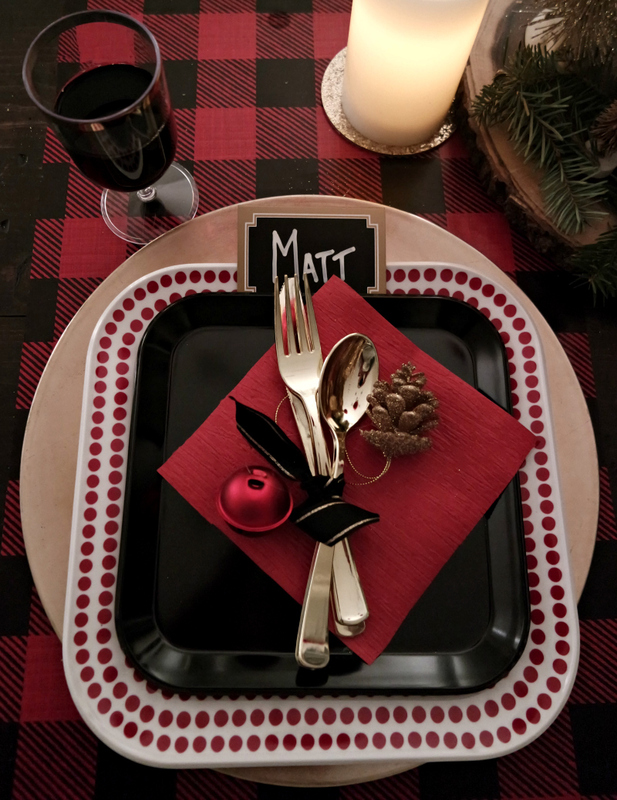 However, if you’re planning to throw a festive dinner party, it’s okay to keep it small. You can limit it to the number of people that can sit at your table. Or you can invite another couple over and keep it even smaller. 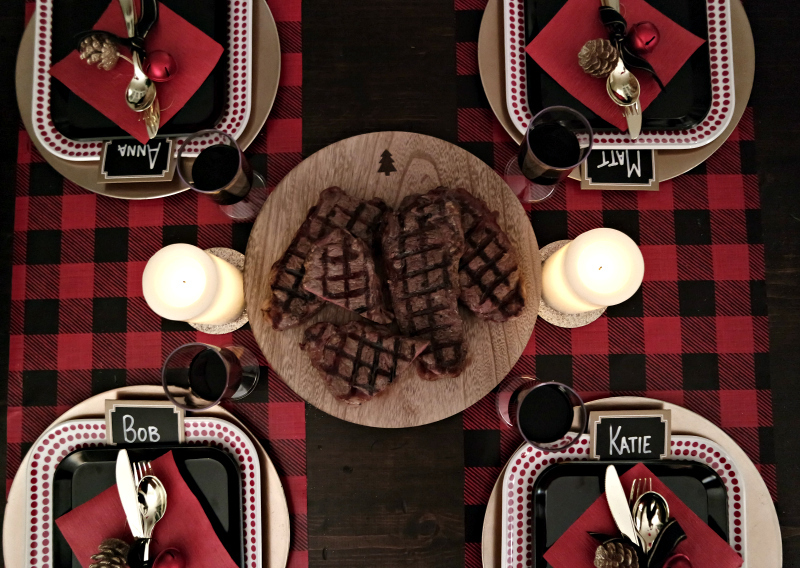 Matt and I decided to host our friends Bob and Katie to celebrate the holidays. 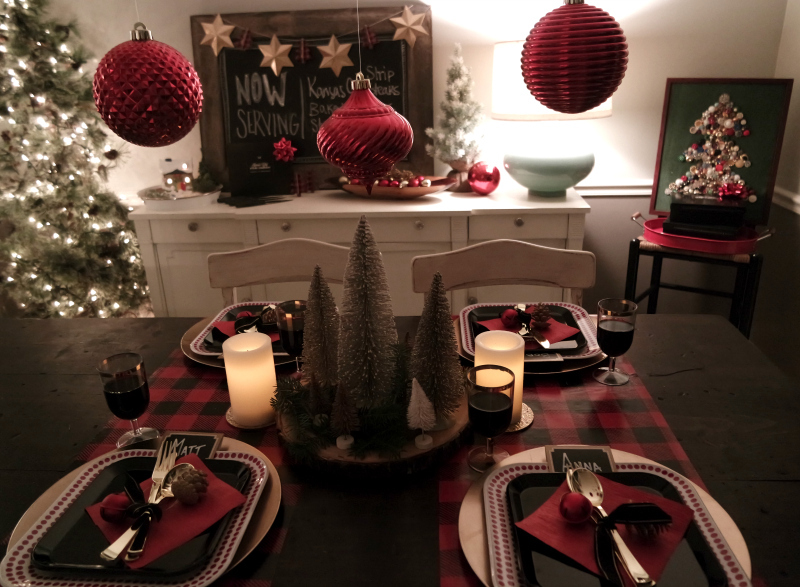 Don’t get stuck in a rut when it comes to how you want to set your table. 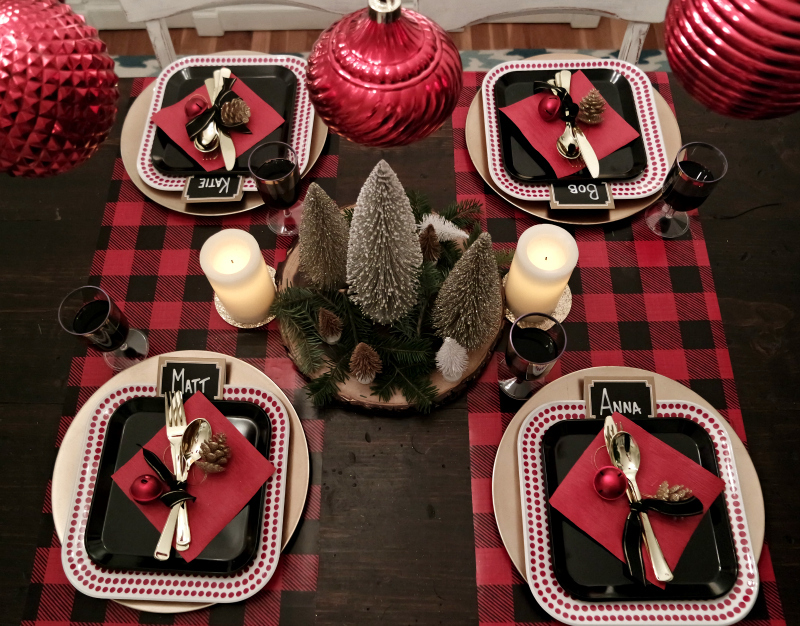 If you run out of conversation at dinner, you can always talk about how you used wrapping paper as part of the table decor. 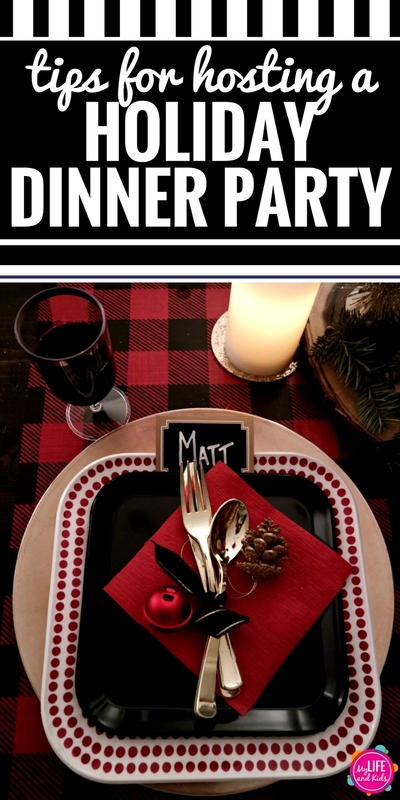 Giving your guests a little keepsake or party favor can be a fun and memorable addition to your dinner party. But don’t make it harder than it has to be. 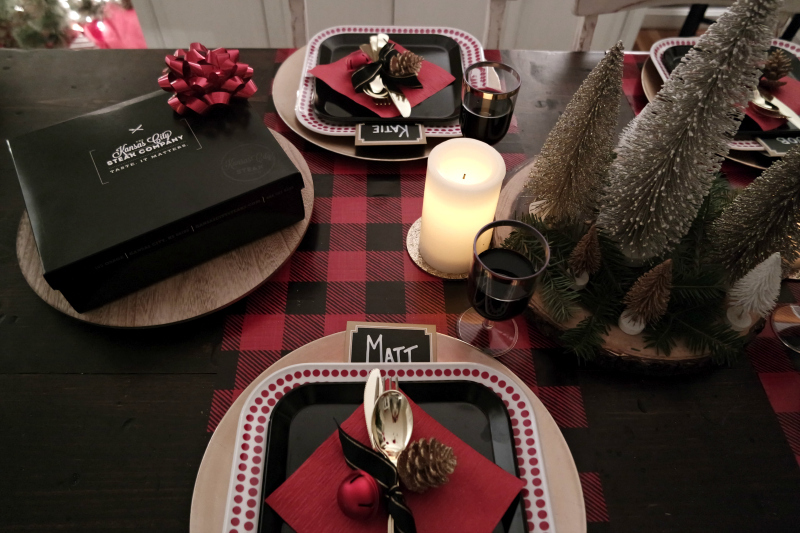 On each plate, I included two ornaments that they can take home and use as part of their decor each season as a nice memory of our fun dinner party. I’m usually fairly intimidated by dinner parties because I’m not the greatest cook. And I’m pretty bad at trying to figure out menu ideas. Luckily, Kansas City Steak Company came to my rescue! Established on a standard of quality, Kansas City Steak Company has been providing gourmet steaks and other top-of-the-line beef cuts since 1932. Simply place your order online, and your meat (or other fine food or side) will be delivered to your door complete with cooking instructions and seasoning. Click here to learn more. 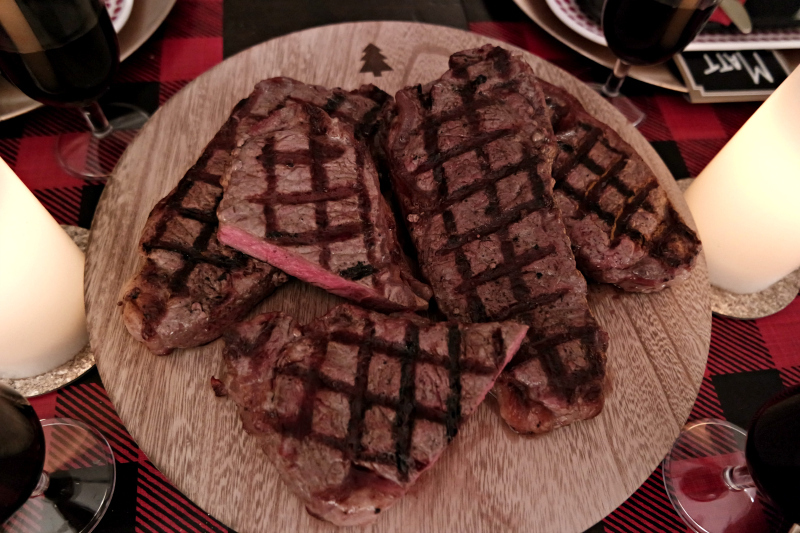 We served grilled Kansas City Strip Steaks, and they were amazing. Seasoned with the Kansas City Steak Company Original Seasoning and grilled to perfection, it was seriously the best steak I have ever eaten. And I’ve eaten a lot of steak. Because we knew the main course was going to be so delicious, we kept the sides very simple with baked potatoes and steamed broccoli. It was amazing to think that preparing dinner could be this simple and taste so incredibly amazing. And I think it’s safe to say that the Kansas City Steak Company has become our go-to destination for quality steaks and other fine foods. 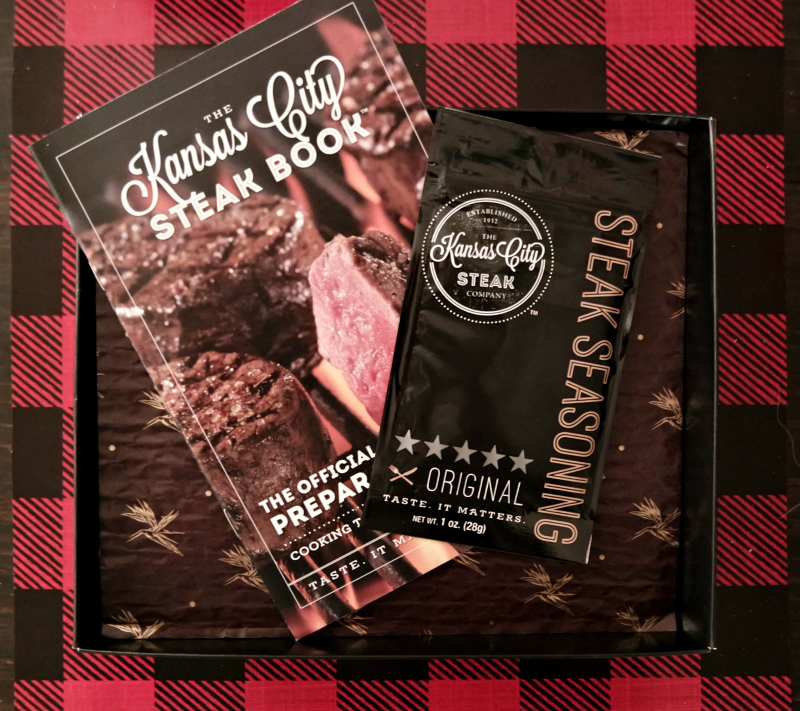 I was thrilled when Kansas City Steak Company reached out to me to write this blog post because I have been the recipient of Kansas City Steaks in the past, and I have given them to others as well. I’m a huge fan! 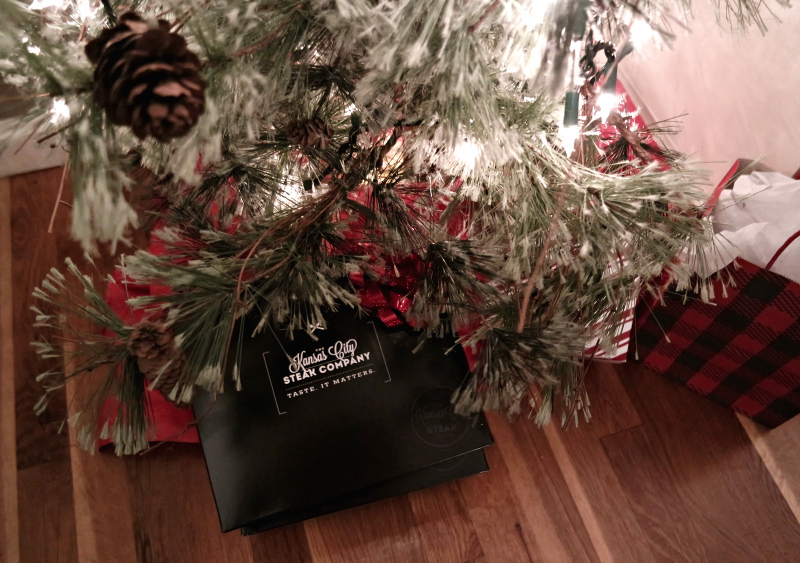 Click here to send the gift of good taste to your friends and family this holiday season. 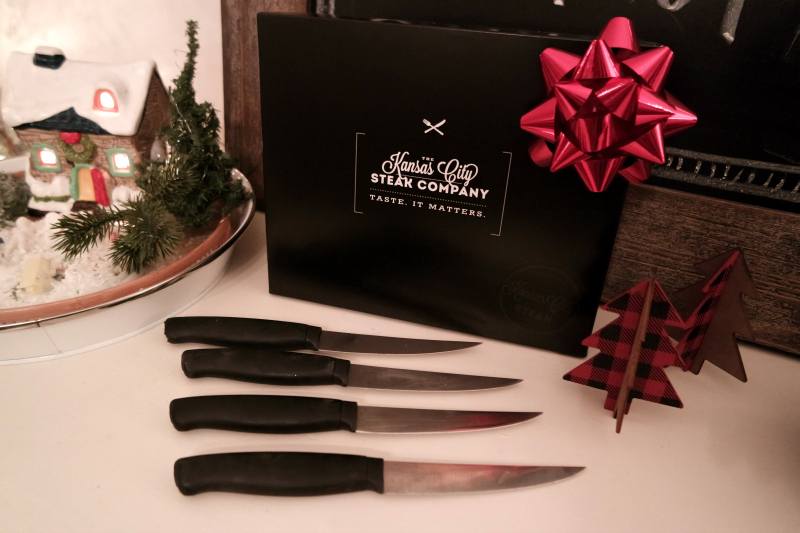 Known for their gift-giving solutions, Kansas City Steak delivers only the very best. Don’t tell my dad, but this will definitely be under the tree for him this year. 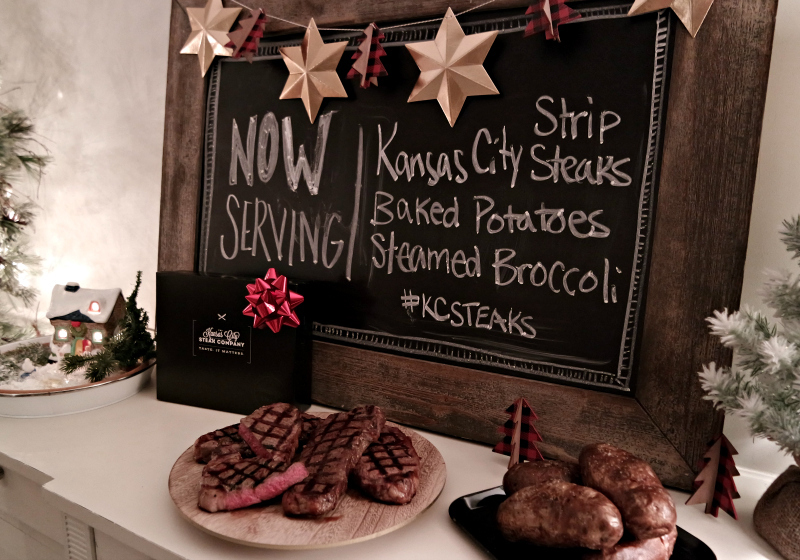 Click here to learn more about Kansas City Steak Company, and be sure to follow them on Twitter and Facebook. If you’re drooling just thinking about these delicious steaks, then be sure to complete the form below to enter to win some for yourself! One lucky winner will be randomly chosen to receive four, 6 oz. Super-Trimmed™ Filets from Kansas City Steak Company. Please click here if you are not able to see the form below.